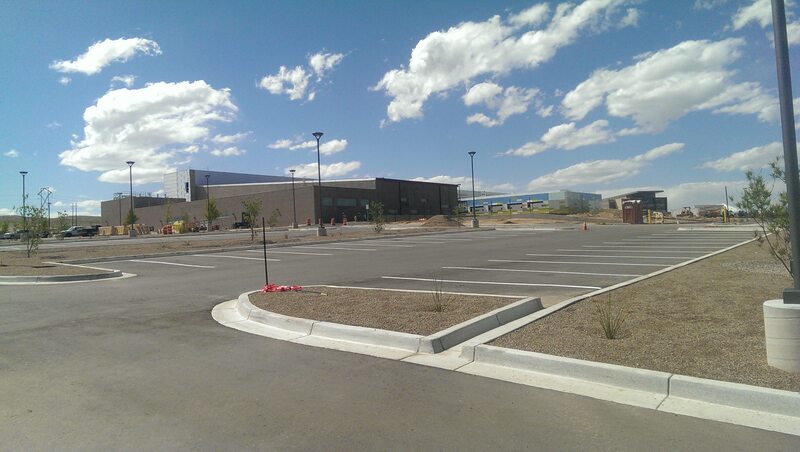 High Mesa Consulting Group has been extensively involved in the acquisition, planning, design and construction of the District’s newest High School and first Pre-K Through 8Th Grade School Prototype. 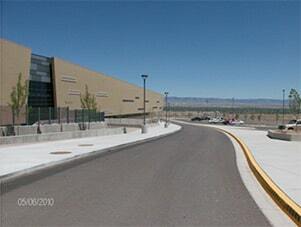 HMCG’s involvement with this site began in 2004 with consultation services for the APS Real Estate Director to evaluate the feasibility of developing a new high school on the Albuquerque’s southwest mesa to help ease the overcrowding caused by residential development and provide for future growth in the area. The findings were summarized in a report that led to the eventual selection and acquisition of the high school site, now known as Atrisco Heritage Academy High School (AHAHS) followed by acquisition of the property to the south that is now home to the George I. Sanchez Collaborative Community School. HMCG provided a wide variety of on-call design and construction phase engineering, surveying and planning services directly for APS in support of both projects. 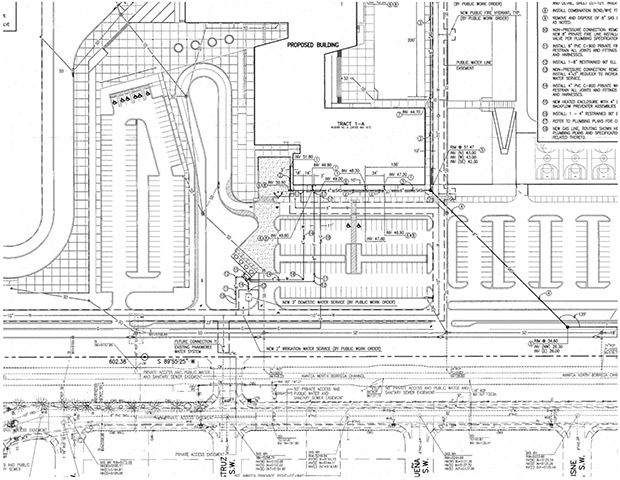 As often is the case, we were also selected to the project Architect’s design teams to provide civil engineering grading and drainage, paving, utility, and construction observation services. High Mesa Consulting Group also prepared digital earthwork analyses and all construction staking and verification surveys for the mass grading phase of the high school project which included exporting approximately 80,000 cubic yards of excess material to a nearby APS elementary school site that required the imported material, thereby benefitting both sites and APS. Through our on-call contract with APS, we provided boundary and topographic surveys of the site and offsite utility corridors to support public infrastructure and site designs for both projects. HMCG facilitated and provided a master drainage plan, traffic impact studies, development agreements to allow public water and sanitary sewer service to the sites, stormwater pollution prevention plans (SWPPP), County zoning conditional use permits, public water, sanitary sewer and storm drain designs, designs for public roadway and trail improvements, a new traffic signal, and construction observation services along with post-construction as-built surveying and certifications. 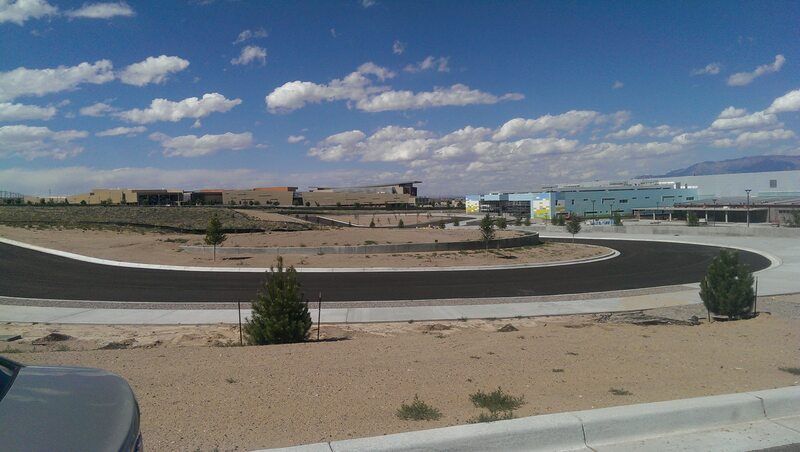 All public infrastructure improvements for the high school were surveyed, designed, staked and administered by High Mesa Consulting Group staff. 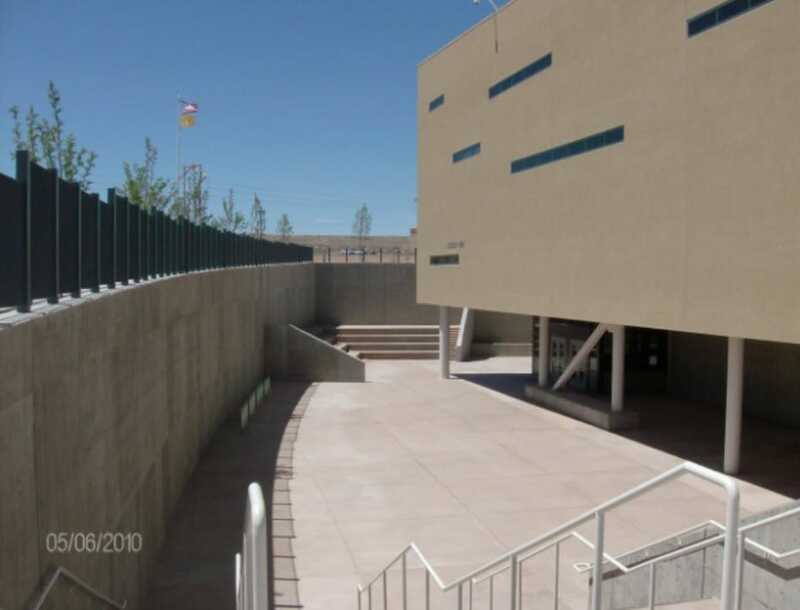 This project’s unique location in unincorporated Bernalillo County adjacent to City of Albuquerque right-of-way required close coordination with the City, County, and AMAFCA. 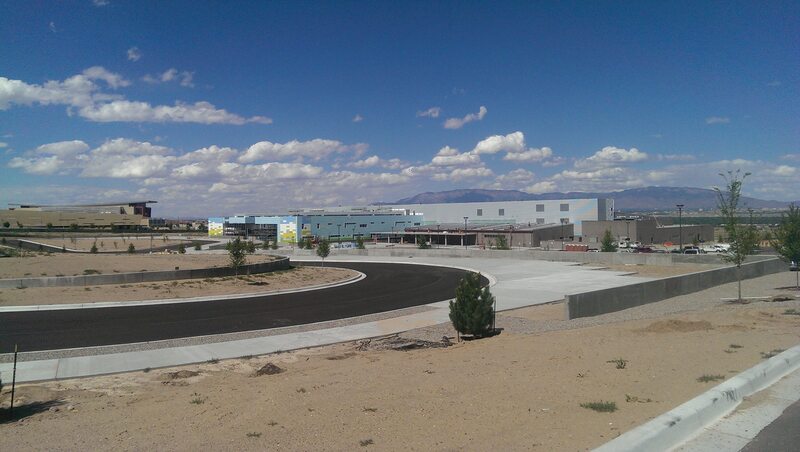 In conjunction with services related to the new High School, High Mesa also provided surveys, consultation and platting services for APS to acquire and replat two adjacent parcels to the south for future APS development of the District’s first Pre-K through 8th Grade school that began construction in March, 2014. 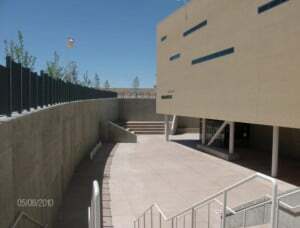 Phase 1 of AHAHS opened in October of 2008 as a 9th grade academy. A portion of Phase 2 was opened in August of 2009 to expand school capacity to include 10th grade, and the Phase 2 upper grade academies opened in August of 2010. 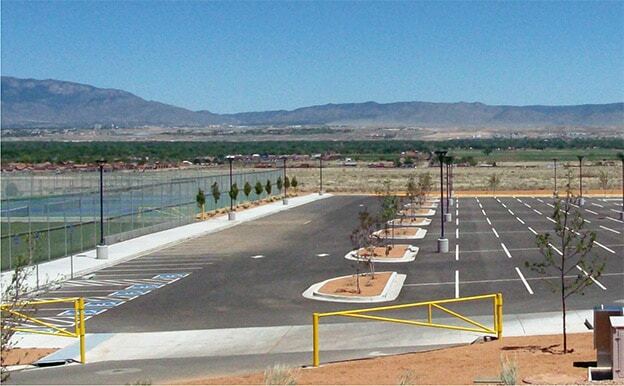 HMCG provided construction surveying services for the Phase 3 General Contractor and final construction of all phases, including new turf grass fields, was completed in June of 2012. HMCG also provided APS with on-call professional surveying, engineering, and planning design and construction phase services for a new Prototype Pre-K through 8th Grade School including design surveys, easement surveys, water and sanitary sewer service, and the design of adjacent and offsite public roadway, utility, and access improvements. HMCG also was the Civil Engineering consultant for the project Architect and prepared site grading, drainage, and utility plans. The George I. Sanchez Collaborative Community School opened in August of 2015. This successful prototype building design is now being repeated at a second location with HMCG providing a similar scope of services for APS and the project Architect.